Food culture is such a fluid thing. It is constantly evolving and changing. There is nothing wrong with that but just as there is value in reading classic literature to make yourself a better writer, there is value in studying, preserving, and understanding the food cultures and flavors of the past. Despite being one of the most modern and forward-thinking regions of the world, the Nordic has done a remarkable job of preserving and promoting their own traditional food culture. Today, people in the region see the value in their food heritage and despite the pressures of the modern, industrialized food industry, they have preserved a good deal of traditional Nordic cuisine. Old Nordic recipes and traditions were thankfully never completely thrown out in favor of the convenience of the modern food industry, but they were definitely at risk of disappearing. It has been many years since Nordic cuisine was shaped and limited by the constraints of a cold, Nordic climate. Refrigeration throughout the year, fresh foods imported all winter long, and industrialized forms of food preservation made many of the traditional Nordic food recipes and cooking techniques obsolete. And yet, many aspects of traditional Nordic food culture managed to survive into the 21st century. Why? The people of the Nordic have a lot of cherished traditions, many revolving around food and eating. The word smorgasbord, actually spelled smörgåsbord in Swedish, perfectly sums up the celebration of food in the Nordic region. People continued serving traditional Christmas dishes, feasting on old family recipes during summer gatherings, and preserving ingredients through smoking, pickling, and curing despite it no longer being necessary to preserve food throughout the winter. In a region of the world where food wasn’t always bountiful, coming together as a community to share food was even more significant. People in the Nordic region held on to old family recipes and food traditions into the 21st century more based on this then practicality. In fact, many of the old recipes were difficult to make, inconvenient, and in some cases even dangerous. With all the pressure to give up these recipes and submit to the modern convenience of the industrialized food industry, it was the traditions of food and community that helped the old Nordic recipes to survive. While many of the old Nordic recipes might have survived, over the years the traditions of the past had lost a lot of their strength. The traditional food culture of the Nordic region continued to survive, in small ways, just under the surface, waiting for a movement like “New Nordic Cuisine” to give it a rebirth. Before the New Nordic culinary trend started, many chefs in the Nordic placed little value in the traditional recipes of the region. Traditional recipes were for family gatherings and something grandmothers did, not restaurant chefs. French techniques and ingredients from Southern Europe dominated the restaurant scene and the thought of a “traditional Nordic” fine dining restaurant seemed illogical. Thankfully, a few talented chefs saw something others had missed for years - Nordic cuisine as not an outdated relic of the past but as a unique culinary tradition that might just set Nordic restaurants apart in the world of fine dining. As many people know, New Nordic cuisine has been an incredible success. All the world’s "best restaurant" lists name at least a few Nordic restaurants and there have even been whole institutes and research organizations started to drive New Nordic cuisine even further. New Nordic was the push traditional Nordic cuisine needed to get back in the spotlight. Today traditional recipes are celebrated and being preserved throughout the region. From the fine dining restaurants of the big cities to small village pubs, chefs are no longer afraid to incorporate old family recipes into their menus. Local farmers have begun to produce more of the region's indigenous crops with local communities supporting and buying these heirloom ingredients. Literally hundreds of cookbooks focusing on the food of the Nordic region have been published in the last few years with even old forgotten classic cookbooks being reprinted again. Even the United Nations has noticed and approved of the culinary movement, awarding the Swedish city of Östersund designation as a World City of Gastronomy. Nordic cuisine has so dominated the food scene over the last few years that it is easy to forget that it too was a culinary heritage nearing the end of its existence. 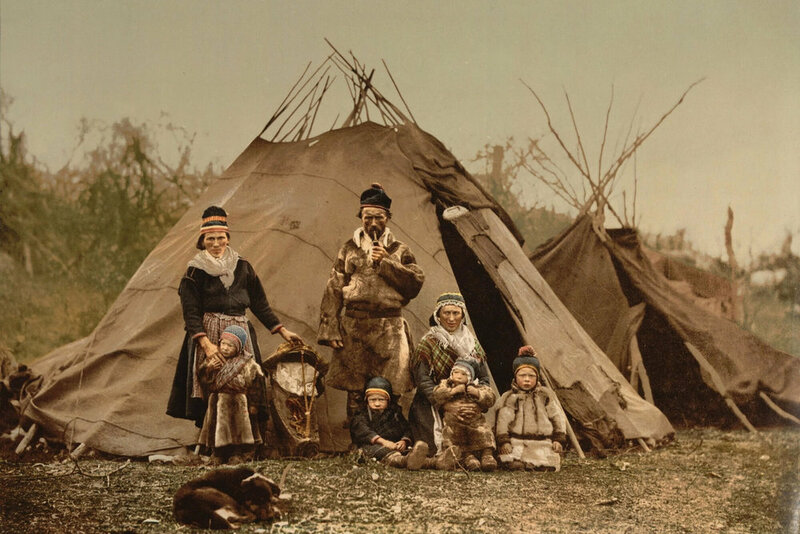 In the Nordic, traditional food culture was under constant stress from a changing and evolving world dominated by the industrial food industry. Rather than letting this completely overwrite their traditional flavors though, the people of the Nordic actively threw off this movement towards mono-food culture and brought their old family recipes and culinary traditions back to life. Their dedication to preserving the flavors and food traditions of the past is something to be admired. The process of preserving their food heritage took a lot of work and the cooperation of many people, from the kitchens of fine dining restaurants to the halls of government. What saved Nordic cuisine and allowed New Nordic to flourish was a combination of factors. As a richer, more educated region, the people of the Nordic were not as easily manipulated by the marketing efforts of the global industrialized food industry. Strong eco-conscious ideals are embedded in the region’s people allowing them to look more critically at the growing monoculture farming industries. Even the New Nordic food movement saw its start with the help of monetary investments both on research and marketing levels from everyone from private investors to government grants. What the Nordic can teach us is that preserving food culture is far from easy, especially with the power and influence of the international, industrialized food industry, but that it is something worth fighting for. It took money, time, hard work, and pure luck to bring the recipes of the Nordic region back to dominance. Many regions of the world do not have the same strength, power, or will to preserve against the mounting mono-food culture industrial influences. And yet, we can not let any food culture of the world die out without losing valuable human knowledge and experiences. Each cuisine, each food tradition, each recipe adds a unique piece to the global food culture puzzle. We must learn from the preservation of Nordic cuisine and we must use it as an example of the value of investing in and supporting similar movements around the globe.